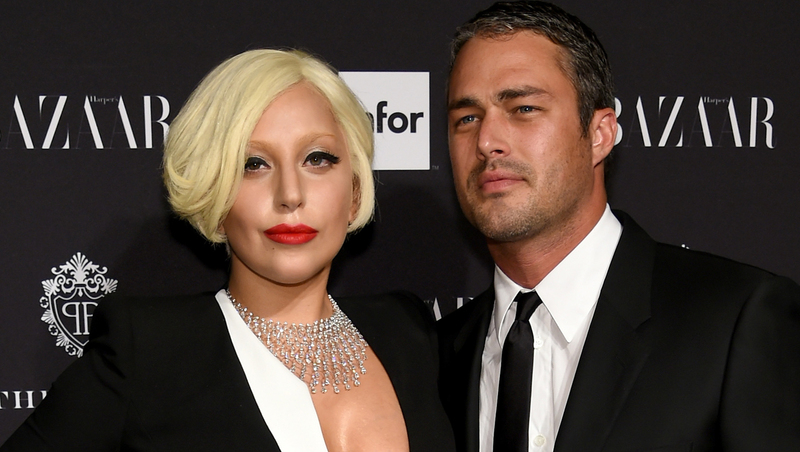 No poker face needed for this happy announcement -- Lady Gaga is engaged to actor Taylor Kinney. The singer confirmed the news Monday on Instagram, sharing a photo of a heart-shaped diamond ring from the "Chicago Fire" star. The singer (whose real name is Stefani Germanotta) reportedly showed off her ring after the proposal at her family's New York City restaurant. "I heard the singer say 'it was time' as she flashed the ring around," reports Times Herald-Record executive editor Barry Lewis, who happened to be dining at the restaurant, Joanne Trattoria, and caught sight of the celebrations. He added, "Her father ...popped open a bottle of champagne to toast the couple and welcome Kinney into the family." Gaga, 28, and Kinney, 33, have been dating for about four years. "He is the right guy," she told Howard Stern back in December. "I have that feeling. I just know it."